Minuit collection pays tribute to starry nights and elegant evening looks. The delicate design of this featherlight watch makes it the perfect accessory for a fashionable, yet subtle result. The strap can be easily interchanged, allowing you to personalise your watch. Met dit product verdien je 79 loyaliteit punten. 79 punten = $ 4.74. Minuit collection pays tribute to starry nights and elegant evening looks. The delicate design of this featherlight watch makes it the perfect accessory for a fashionable, yet subtle result. 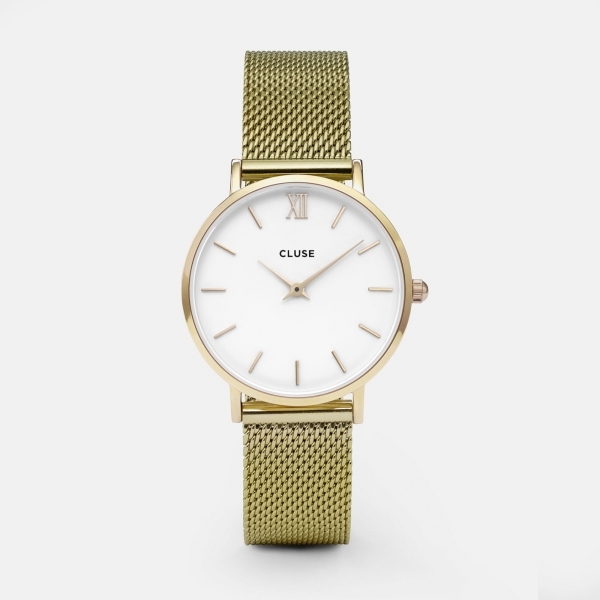 The watch features a 33mm case, where white is combined with gold details to create a beautiful minimal timepiece. The strap can be easily interchanged, allowing you to personalise your watch.